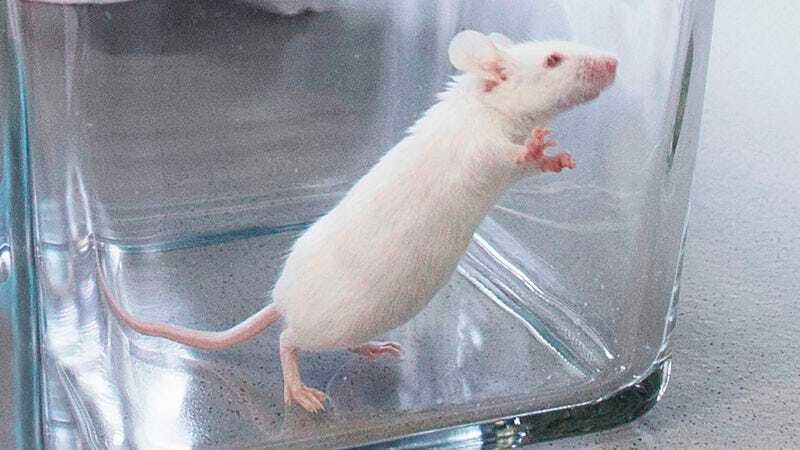 STANFORD, CA—Anxious about all the brand-new challenges that lay ahead, a laboratory mouse was reportedly feeling nervous Friday in anticipation of its first day at a new job getting cancer. “Honestly, I’ve got butterflies in my stomach wondering how being riddled with tumors is going to go,” said the 6-month-old white rodent, adding that it couldn’t help but have the jitters when it realized it would have to show up and start developing agonizing malignant growths pretty much from day one. “I was good at my old gig ingesting dietary supplements, but this new job metastasizing cancer cells to my bones, organs, and lymph nodes is a rare opportunity for me. I mean, just the thought of walking in there and not getting cancer, of just sitting there with perfectly intact tissue, is keeping me up at night.” At press time, the mouse had reportedly calmed down after reassuring itself that it was sure to get cancer since it had already been genetically modified to have no way of stopping it.